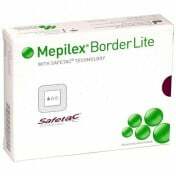 Mepilex Ag Silver dressing can be used to heal all types of opened wounds, but mostly it is used to kill any bacteria in the wound itself. The removal of bacteria helps the skin heal faster. 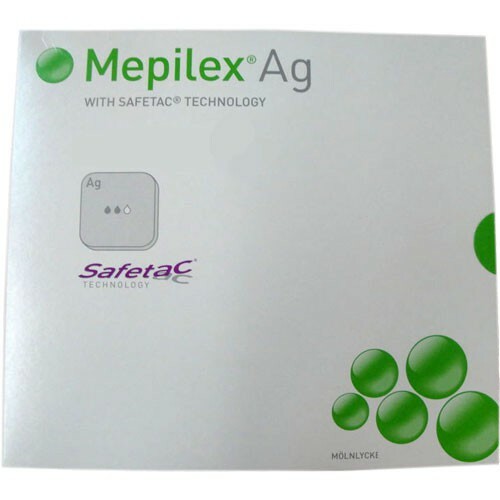 For the deep wounds that need antimicrobial silver dressing, there's the Mepilex Ag Bacteria-Killing Foam Dressing. This dressing is embedded with bacteria-killing silver to effectively prevent infection. The silver dressing is best suited for acute or chronic seeping wounds such as venous leg ulcers or burns. 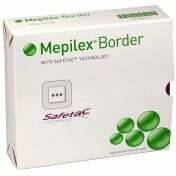 Designed with a Safetac adhesive, this dressing adheres to the affected area comfortably and can be painlessly changed without damaging the skin. As a result, the skin around the wound stays dry, healthy and free from infection. You'll also be free from adhesive or any leftover burns that result from typical bandage removal. 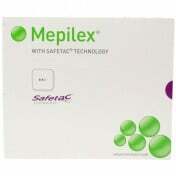 The Mepilex Ag Dressing is a versatile dressing that can be used on many different types of wounds. 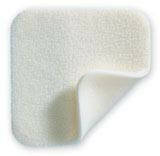 This wound dressing is especially effective for burns, pressure ulcers and leg ulcers. The anti-bacterial silver embedded in the dressing lasts up to seven days and can remain in place for the same amount of time depending on the condition of the wound. How do I use this dressing? 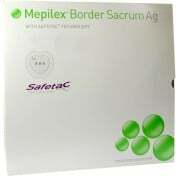 I struggle with ulcers on my legs and Mepilex AG is always my go product to help heal them. I love this product. I will see results in days. The service from Vitality was really wonderful and the delivery was very expedient. 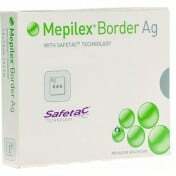 I keep the mepilex Ag on hand and it has saved us 2 trips to the emergency room. Mother, age 94, has twice fallen and tore large 3 sided rectangular patches of skin from her arm, leaving it attached only at the top. 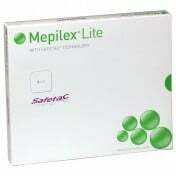 I scrub up, smooth the skin back into place and cover the wound with the Mepilex Ag. 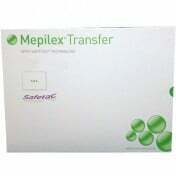 I then use a clear bandage over the Mepilex to protect the wound. The foam soaks up blood and liquid so I change the bandage every 3 days until the bleeding stops. Then I change it weekly for at least 2 weeks. 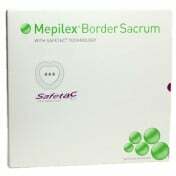 We've used this on an open wound for five months now, no infection and does an excellent job asborbing fluids. Would highly recommend it, even if it is expensive. 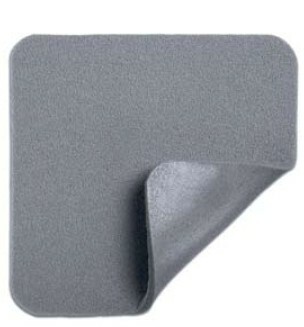 I thought this pad was for a drippy wound, but the pad become sticky the first day. Would not buy again. Produt deliverede fast & exactly as ordered. Product was as advertised, price was reasonable & delivery was faster than advertised. Stays in place without affecting the wound. Excellent absorption of fluids. My daughter has an incision that wasn't healing properly. This dressing is like a miracle, I call it our "Star Trek" bandage. The difference in 2 days with this was amazing, and you can shower, and reuse it several times.....the price is wild, but the results are a g-dsend! It IS worth the cost. I first used this bandage in the hospital. After having great results, I bought it in order to clean my wounds. This dressing is very effective and promotes healing of my wounds. I will keep this product in my first aid box. I would definitely recommend this product to anyone.